Posted on April 16, 2018 April 15, 2019 By Nikkie M.
This article might be a little mundane for those of us who have been gardening for a while. But when I started gardening, I became frustrated sometimes with the look of the garden. I know that appearance means very little if your vegetable garden is producing loads of food, but we’d still like for it to look nice. I began reading articles, looking at YouTube channels and looking through landscaping books to see how I could improve the look of my vegetable garden. That’s when I learned that perennial flowers can be used to bring beauty to an otherwise dull garden space. Perennial flowers are reliable, sturdy flowers that return each year without replanting or any additional work. During the colder months, the plants go dormant and the flowers and stems may appear to die. Sometimes you can’t even tell the plant was even there. Then, when the conditions are right, new blooms will shoot up where the old ones were. Before choosing whether to put in perennials or not, you have to ensure that your soil drains well. If you want to plant in an area with poor drainage, you may want to build and plant in a raised bed. To test the area, dig a hole and fill it with water. The following day, fill it again. If the water does not drain out of the whole, you may need to build a raised bed. 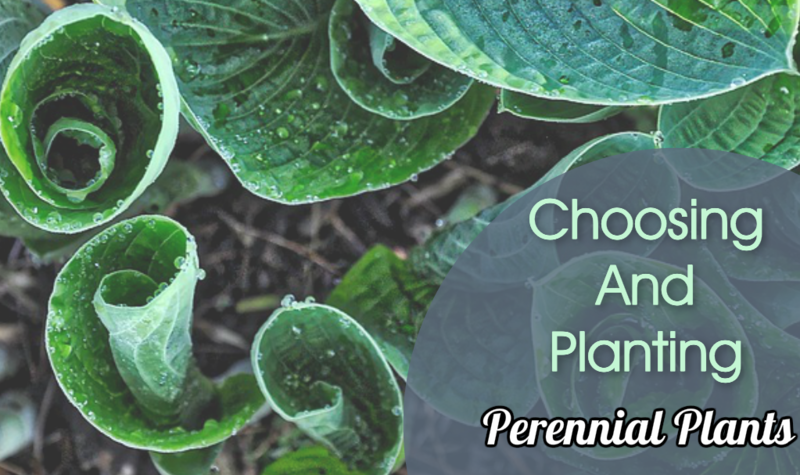 Now, choosing your perennials can seem a bit complicated. The goal should be to have them flowering as much as possible during the year, so you should create an plan for the year. Research the different types of flower you want, and create a timeline of flowering. If you plan it right, you can have a different type of flower blooming at any point in the year. Getting just the right mixture of seeds can give your yard a constantly changing array of colors. Sometimes the choice is made easy. Some local garden centers, especially those that grow from seed in their own greenhouse, may have seed mixture or seedlings that are specific to your area. If unsure, you can simply ask an employee for help. In the big box stores often times the employees are just that…employees. They work for the store in whatever location they are needed. A person stocking shelves in the garden area does not make them garden experts! Local, small, family-run greenhouses are best to answer your questions. 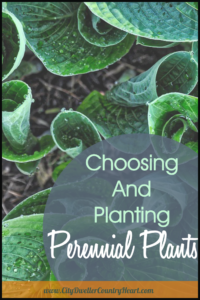 You should definitely use mulch when planting perennials. This will reduce the overall amount of work you have to do, by reducing the number of weeds and increasing the water retention. Types of mulch vary from pine needles to pine bark nuggets, leaves, and even compost alone. Be careful with using compost or fertilizers for flowers. 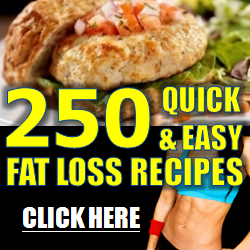 Do not overdo it. Once the plants begin to grow if you choose to use fertilizer, use it in small amounts. If planting seeds, be sure to read the seed packages and plant accordingly. Don’t overcrowd them by planting them too close together. Depending on the growth pattern, as the plants grow, their growth may be limited if planted too closely. So plant them in small clumps with a small amount of weak fertilizer. Now sit back and wait for your flowers to bloom.